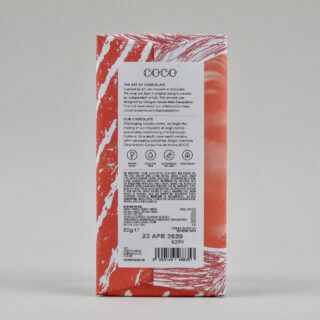 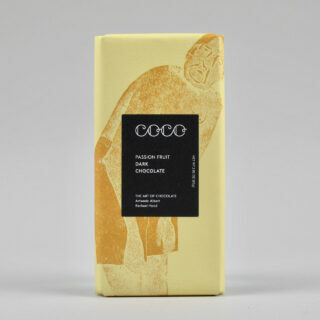 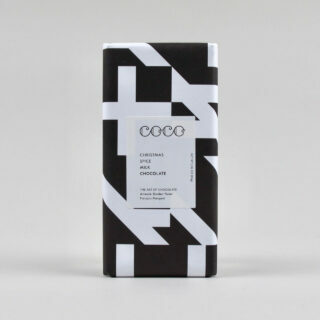 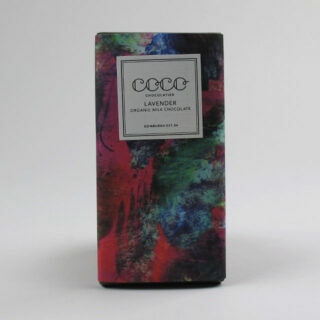 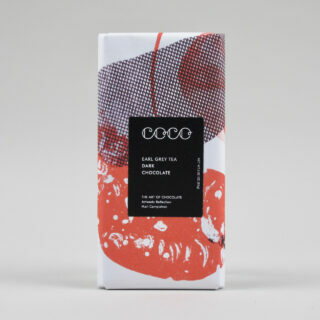 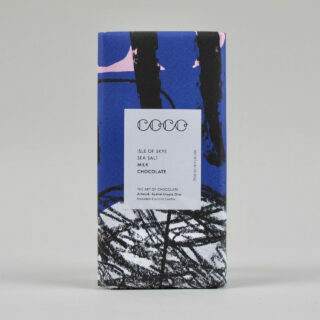 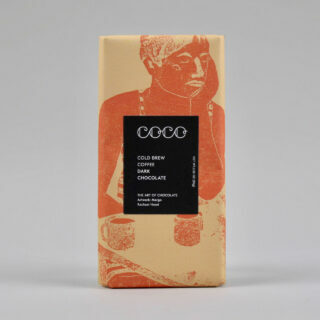 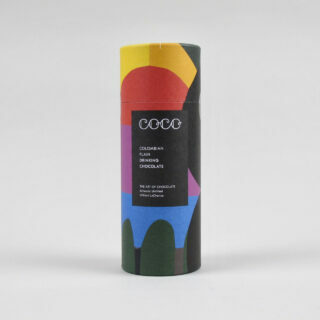 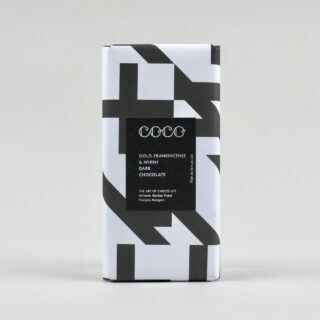 An 80g bar of milk chocolate from Edinburgh based Coco Chocolatier. 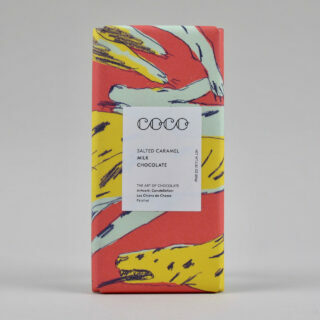 Wrapped with a design based on artwork by Mari Campistron. 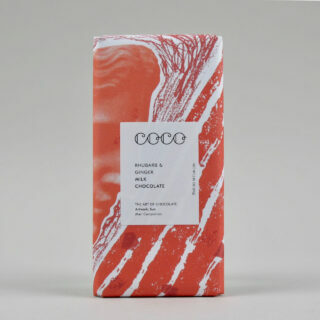 40% cocoa chocolate flavoured with rhubarb and ginger.